Happy Thursday! 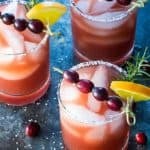 The classic margarita gets a festive twist in these Cranberry Orange Margaritas I’m sharing today. 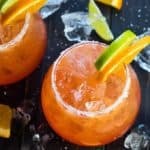 So sweet, fruity and tart… these can be thrown together in a snap! Beware, because they go down sooooo EASY and taste incredibly delicious. Can you believe it’s already November? It feels like I just got finished taking down my Christmas decorations from last year! I’m not complaining though, because the holidays are one of my favorite times of the year. 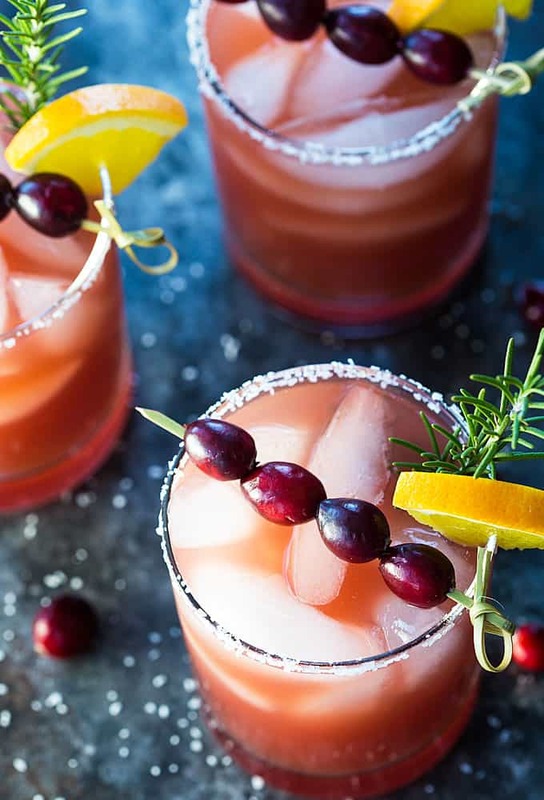 One of the things I love most about the holidays are all of the gatherings and festivities with friends and family. 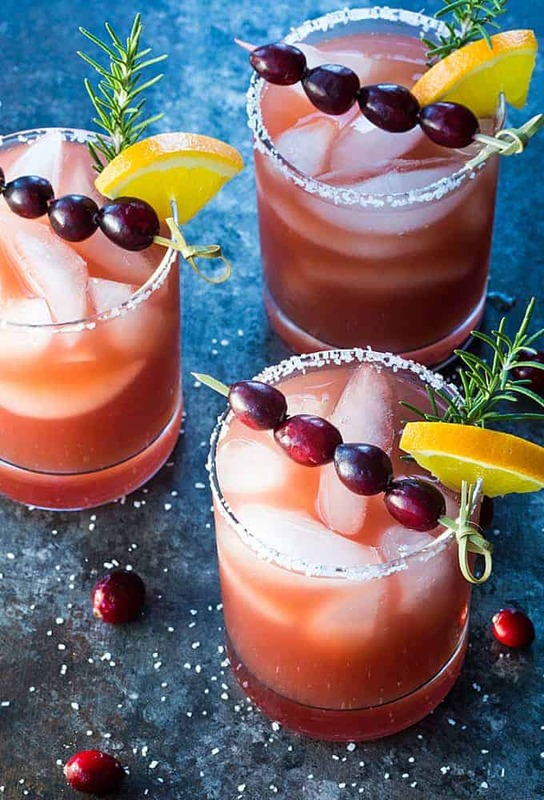 Oh, and the cocktails… the cocktails! 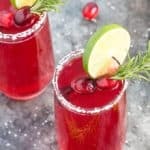 🙂 That’s why I love an easy and delicious festive drink that doesn’t take forever to prepare, so that you can spend more time catching up with loved ones. 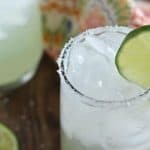 Love margaritas as much as I do? 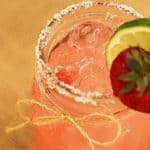 Check out all of my other margarita recipes! Rim glasses with kosher salt. 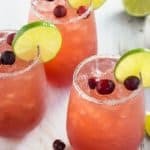 In a shaker with ice, add tequila, orange juice, cranberry juice, orange liqueur and lime juice. 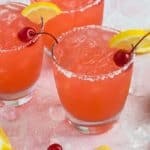 Shake vigorously and pour into rimmed glasses. 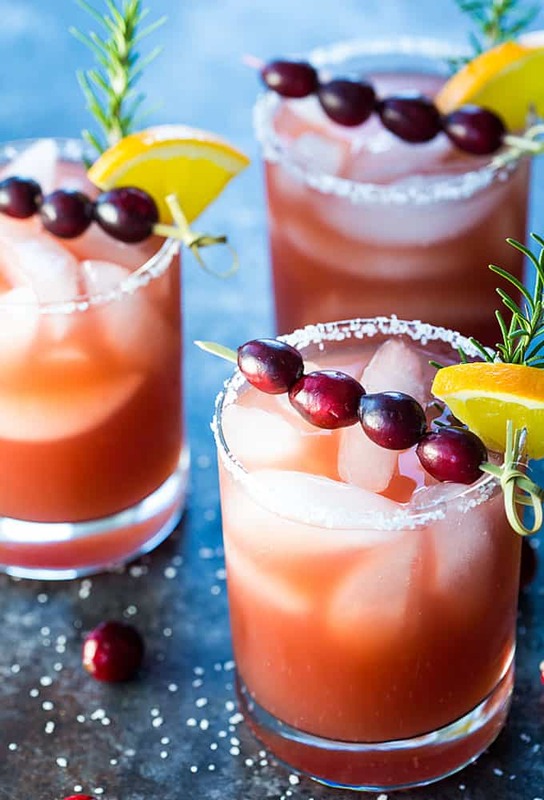 Garnish with cranberries, orange wedges and/or fresh rosemary sprigs, if desired.